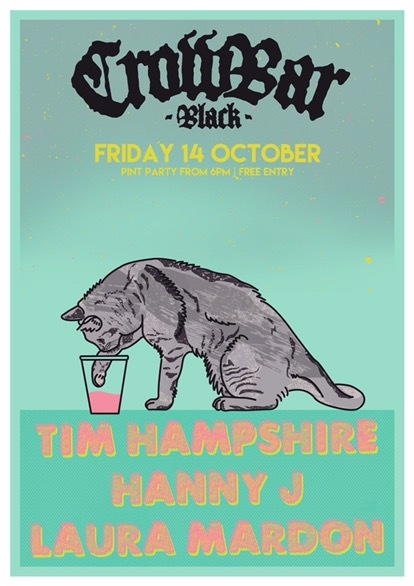 I’m playing a cool show at Crowbar Balck on October 14 with Hanny J and Tim Hampshire. It will be the upstairs pre-show for the Clowns show happening straight afterwards. I also got to put my recent cat illustration to good use.